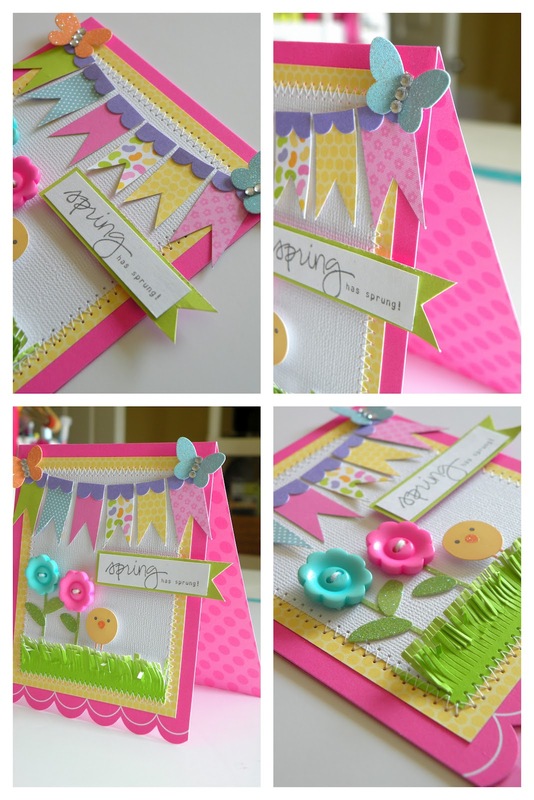 Doodlebug Design Inc Blog: Welcome Spring!! After seeing Stephanie's darling "SPRING" card I couldn't wait for spring to arrive. It's been warm enough around the Doodlebug hometown to go without a sweater and even roll your windows down. So to celebrate Spring...here's some beautiful inspiration from Stephanie Buice!! This is really cute and I love all of your photos!!! Stephanie --- love this card! The button flowers are awesome as is that cute little chick beside them. I absolutely love this card!! The colors are wonderful and make me really want Spring to arrive sooner. Way cute! I had to make a copy so I can use it for inspiration in my own version! Oh my word!! How lovely is this!!!! Absolutely darling! I am a new follower and brand new to card making. (this will be my first once I get my supplies). Can you please tell me were you purchase your supplies and especially your embellishments? Thank you.